PALATIAL LIVING IN THE HEART OF MADRID. 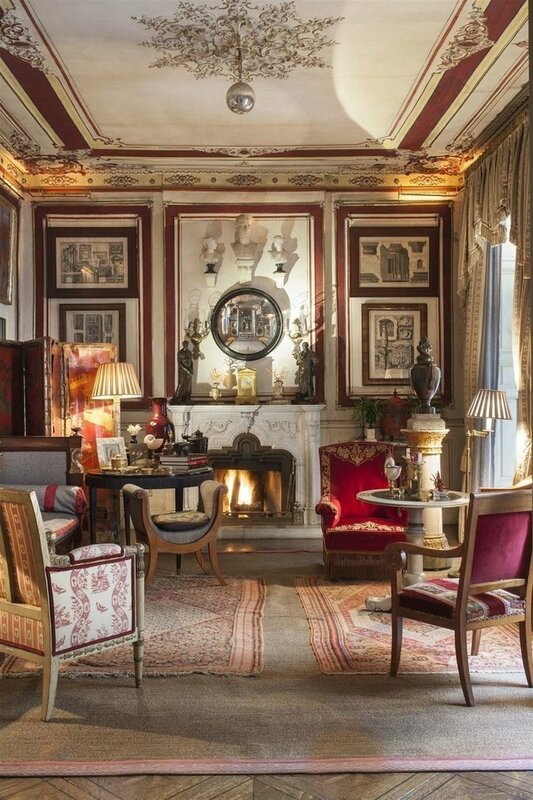 A unique palatial home in the heart of Madrid’s famed Golden Mile of Art. Within a short stroll from the Prado Museum, the Thyssen-Bornemiza Museum, and the Reina Sofia Museum of Modern and Contemporary Art, this exquisite property has a total of 1.000 square meters spread over three levels in an 18th century, historically listed building. The home boasts three spacious salons, which the owner uses for entertaining, a grand hall leading to the airy master bedroom and attached dressing room, a library, kitchen, laundry room, five baths and a bar and wine cellar. The dining room can easily sit 40 dinners. Seven marble fireplaces lend a warm and cozy ambiance to the house. Original oak, mahogany and walnut floors and Fortuny Venetian silk wall coverings attest to the property’s Aristocratic origins. A unique feature of the home is its Andalusian-style courtyard, a haven of peace and tranquility in Spain´s bustling capital city. The home has been featured in various international design magazines, and has won accolades for its striking combination of avant-garde and classical interior design.